These Celtic drop earrings are cast in sterling silver and have an open Trinity knot design. 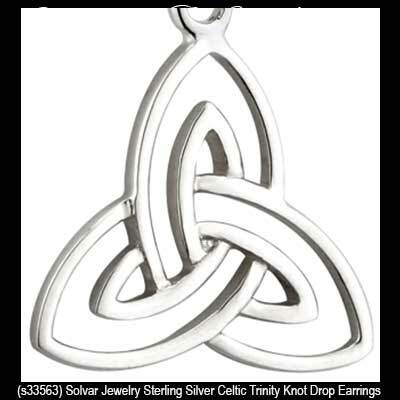 These sterling silver Celtic earrings feature filigree Trinity knots. The Celtic drop earrings are on latching Eurowires and measure 1/2” wide x 1 1/8“ tall.